Updating our list of Android 7.0 Nougat custom ROMs, today we are bringing to you a ROM for Nexus 4. Based on Android 7.0 Nougat, NitrogenOS brings the latest features of Nougat to your Nexus 4. Follow this guide to update Nexus 4 to Android 7.0 Nougat based NitrogenOS custom firmware. Do note that this is not an official firmware, but a custom ROM. You might experience some features not working properly. For more details and to keep yourself updated with the latest fixes coming to the ROM, please visit the development thread. As always, before we get to the actual steps, there are a few prerequisites that you need to take care of. Make sure that your Nexus 4 has at least 80% of battery life. Your device should be rooted using the most recent recovery system installed. Its bootloader should be unlocked. Make sure to enable USB Debugging on your Nexus 4. Required files: download NitrogenOS Android 7.0 Nougat on your PC. Also download Gapps for your device. Connect your Nexus 4 to your PC using USB cable and copy the downloaded files to the internal storage of your device. Power off your device and unplug from the computer. 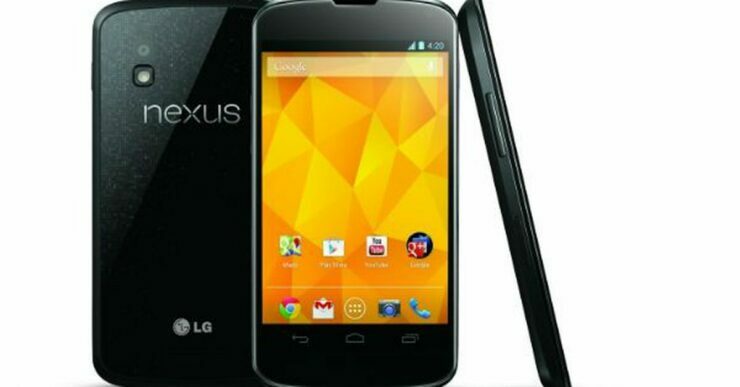 Boot your Nexus 4 to Recovery mode: press and hold Power, Volume Up and Volume Down buttons. Release them when you see the Bootloader or Fastboot menu. Use volume keys to navigate and Power button to select a choice. Select Bootloader > Recovery. Select Backup and Restore to perform Nandroid Backup and then go back to main menu. Next, wipe data by selecting wipe data/factory reset. Also, wipe cache partition to perform cache wipe. Finally, Delvik Cache should also be wiped from Advanced > Wipe Delvik Cache. Now, select Install Zip from sdcard > choose zip from sdcard from the main recovery menu. Locate the NitrogenOS custom ROM. Select and confirm. Follow the above step for installing Gapps. After you are done, select reboot system now to reboot your Nexus 4. It will take some time to load all files as this is the first boot after flashing, so don’t be worried if it takes more time than usual. Are you trying NitrogenOS on your Nexus 4? Tell us how it goes for you and don’t forget to share your favorite Nougat ROMs with us.